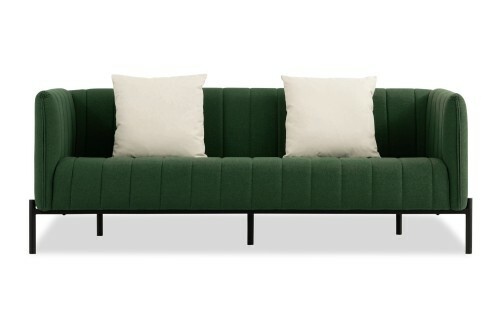 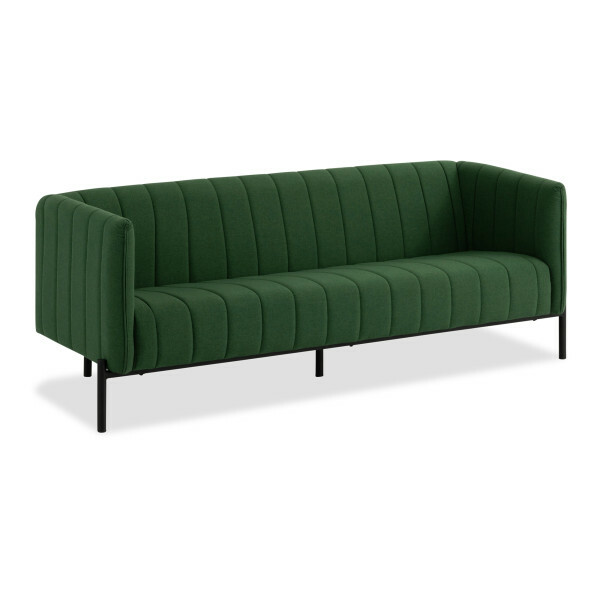 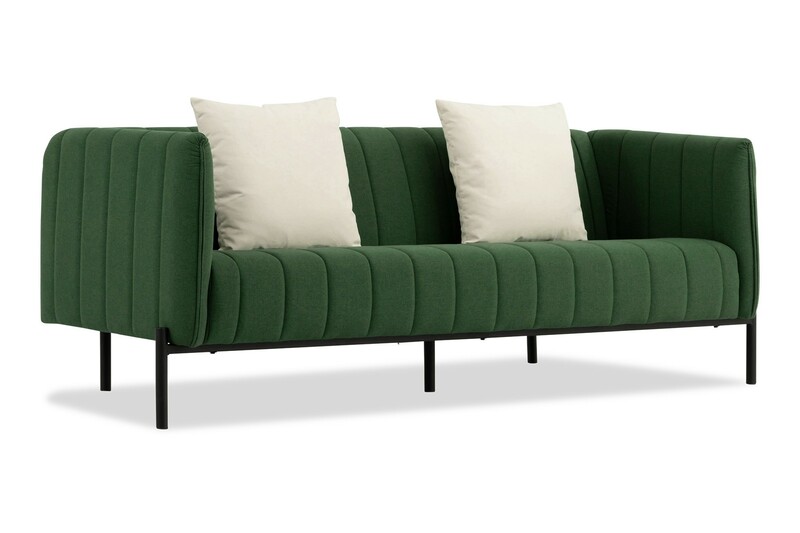 This modern sofa with piping is well-constructed and comfortable. 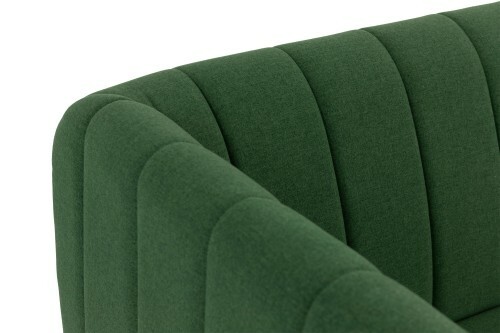 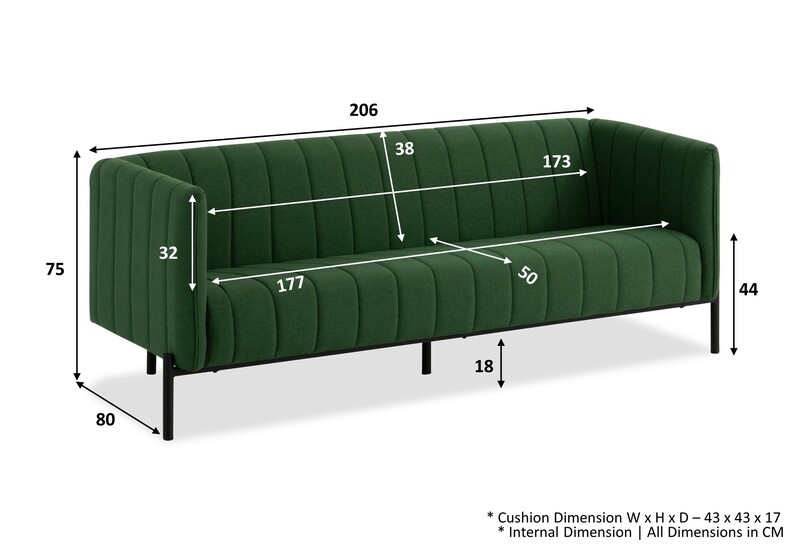 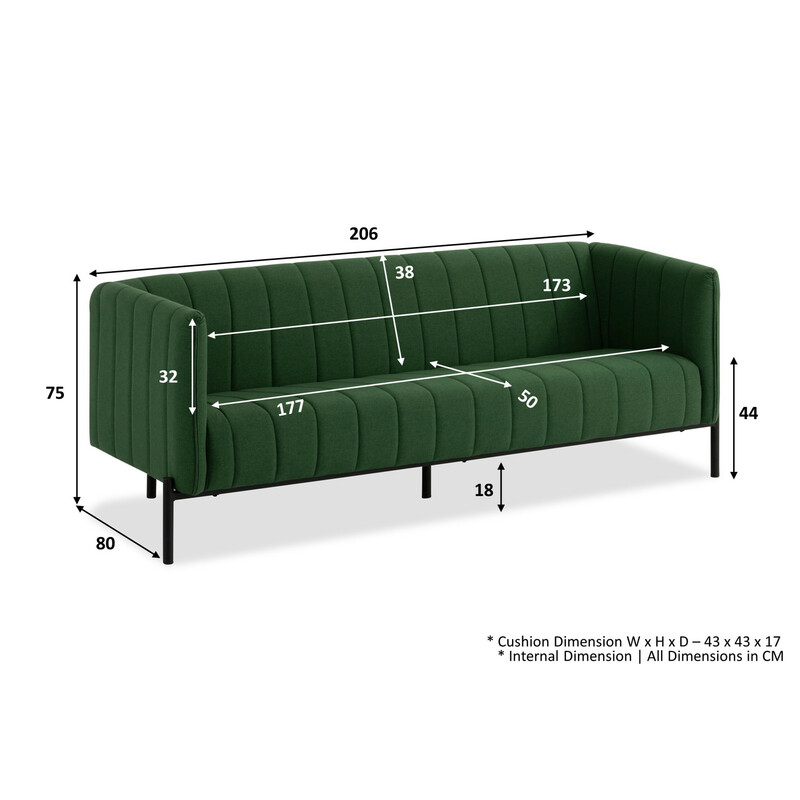 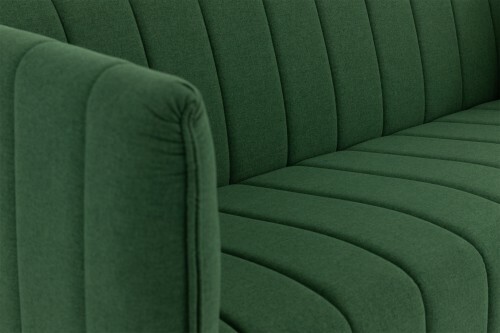 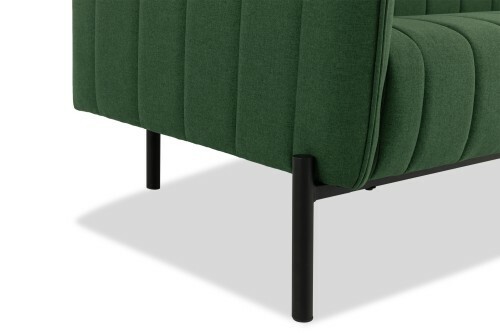 The quilting adds an extra dimension of padding to the feel of the curved sofa. 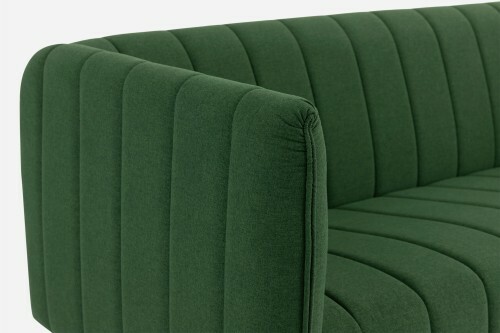 The muted green fabric is easy to care for and able to hide small stains. 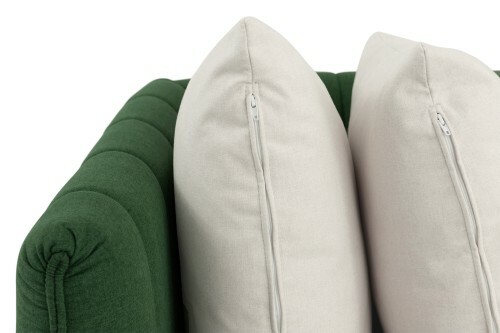 It comes with 2 matching white cushions that take the guesswork out of decorating, with removable covers for quick washing. 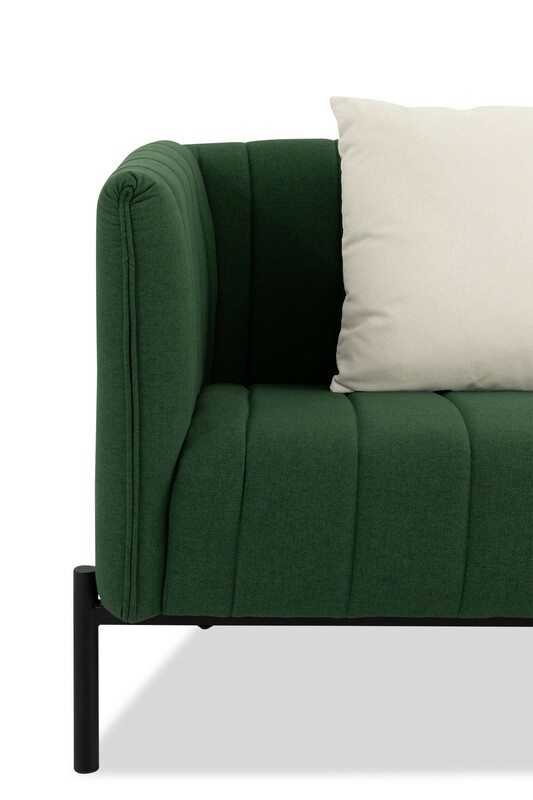 The black powder coated legs provide stability and symmetry. 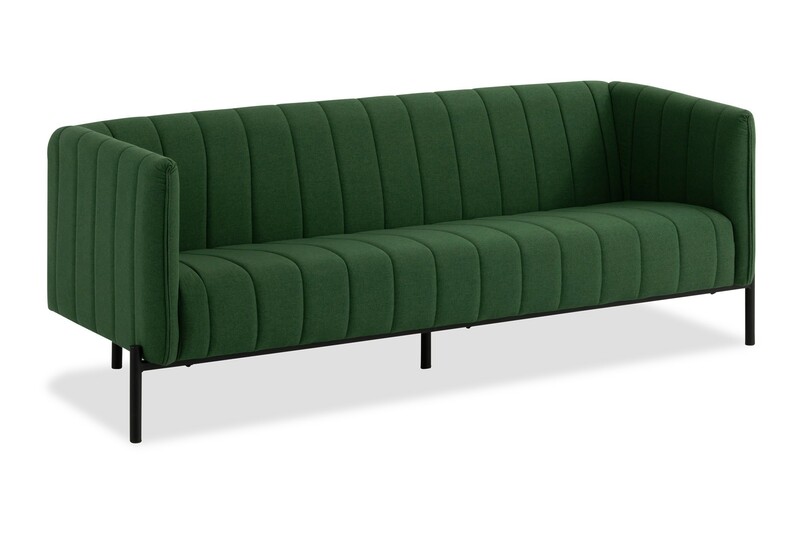 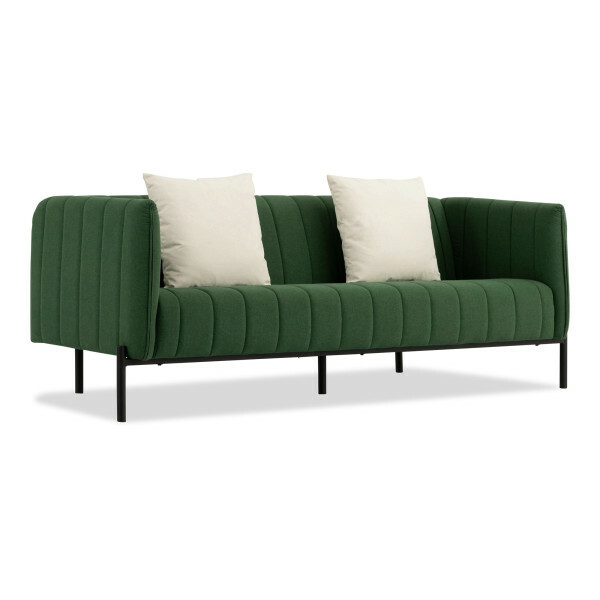 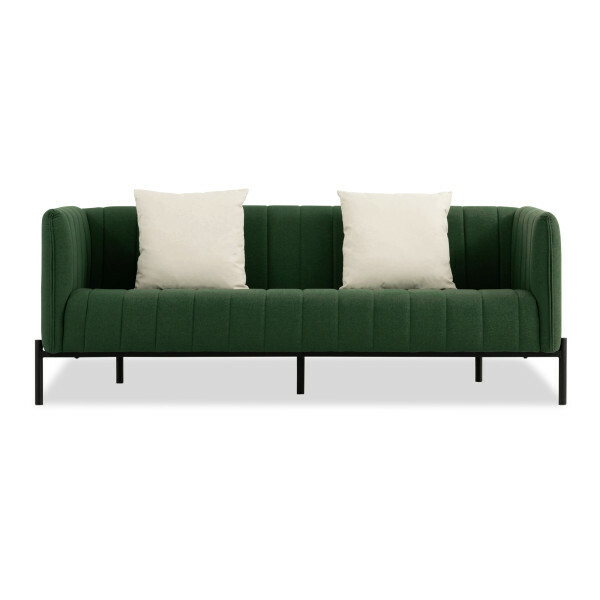 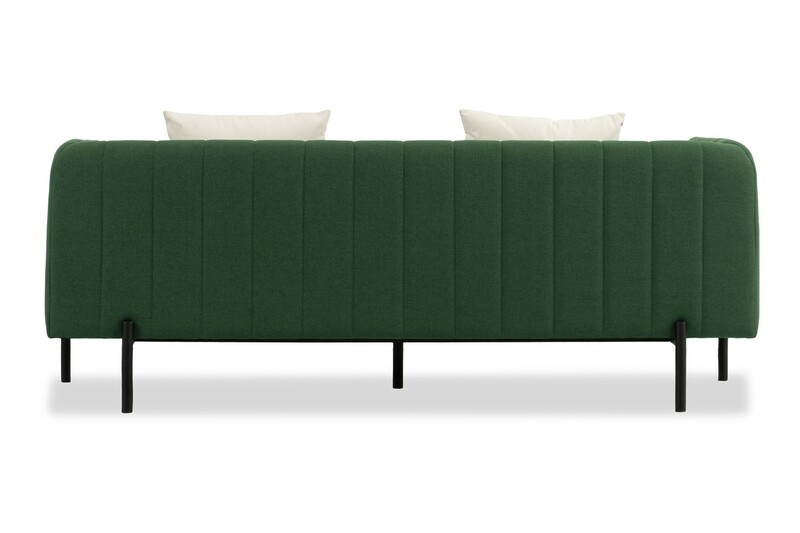 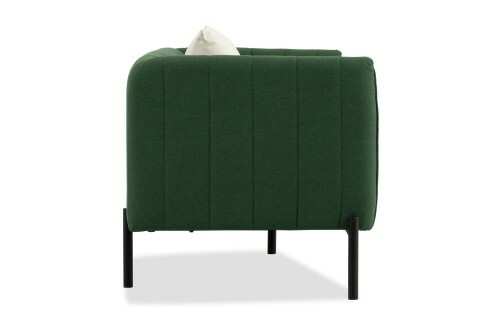 This sofa may also suit bohemian, art deco or eclectic décor due to its unique design.